I know there’s such a thing as water polo. How about water soccer? 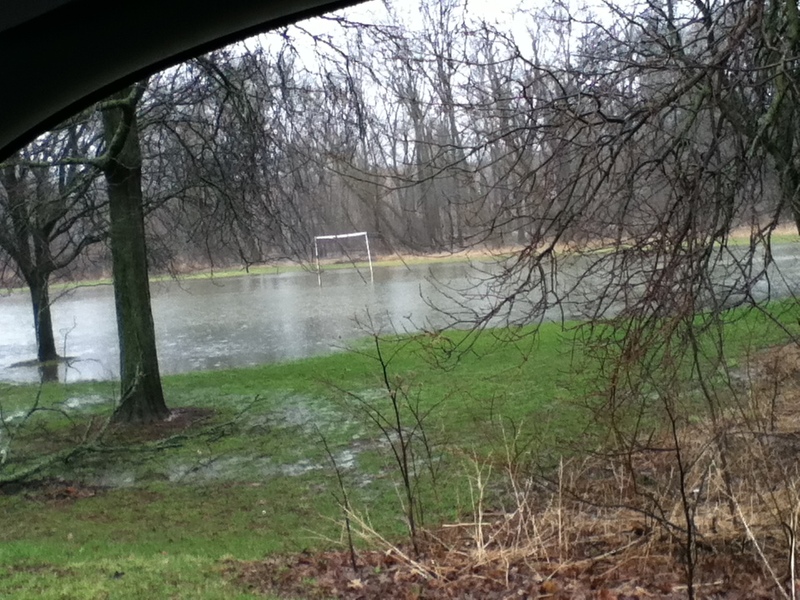 As this photo I took from my car this morning shows, the Menomonee River has overrun its banks, flooding a nearby soccer field. In some places the water has risen high enough that it is lapping the edges of the road (the Menomonee River Parkway). I’m glad it’s not snow. But seriously? Enough already! This entry was posted in Life, Milwaukee and tagged flooding, Menomonee River. Bookmark the permalink.